The Match Corresponding Template requires Participants to match a list of options with their respective answers. 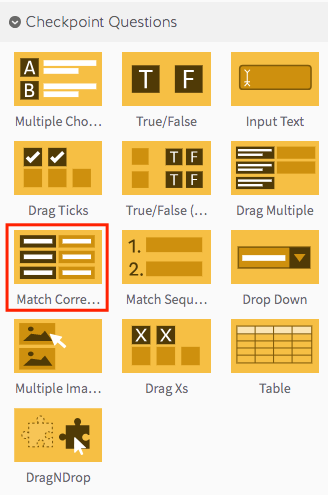 The Match Corresponding Template requires Participants to match a list of options with their respective answers. This makes it a great template for testing your Participant’s knowledge of categories. Step 1: Select the Match Corresponding Template from the ‘Checkpoint Questions’ panel. Step 2: Drag your Match Corresponding Template into the Lesson Pathway. Step 5: There will be a Match Corresponding question preloaded in the ‘Checkpoint Question Editor’ box. Click the edit button to start creating it. Step 7: Click the green ‘Add Answer’ button to begin adding answers for your question. Step 8: Write out an answer option for your question and select whether it’s a correct answer. Step 9: Continue adding answers to your question by repeating Steps 7 and 8. Note: The Match Corresponding Template offers three additional options. Firstly, you can provide custom feedback, which lets you add custom feedback text for both correct and incorrect answers. Secondly, you can choose to randomise the answers to your question each time the template loads, making it harder for students to remember which answers were correct if they are completing the template a second time. 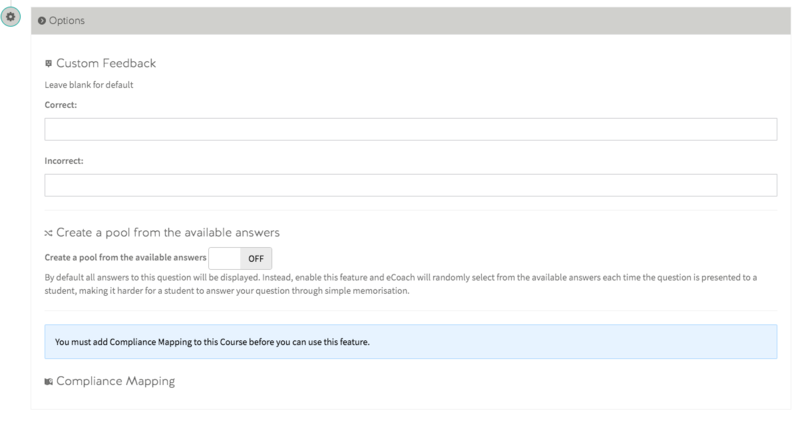 You can also map your learning outcomes to each true/false multiple question.